Once you have started your business, keeping track of your company finances is essential. This lets you track earnings and also set a budget for running and growing your business. In this article, we cover everything you need to know to get your business accounting up and running. Starting a new business is exciting, but it can also be a bit risky. It’s important to make the most of all your resources. Effective solutions like these make taxes, payroll and other aspects of running a business much easier. With the right business accounting software, you will have more time to focus on growing your business. Additionally, you will be able to accurately budget for your company’s future. Expense Tracking and Tax Preparation: Accounting gives you the tools you need to accurately track your income and expenses, which comes in handy come tax time. This also helps ensure you receive every deduction and write-off you’re entitled to, stretching your investment dollar to its maximum value. Establish a Baseline: Without reliable accounting, it’s tricky to budget your growing business. Keeping records of your general overhead from the start gives you a better idea of how much income you’ll need to take your company to the next level. In addition, you will be able to set realistic goals for your new business. 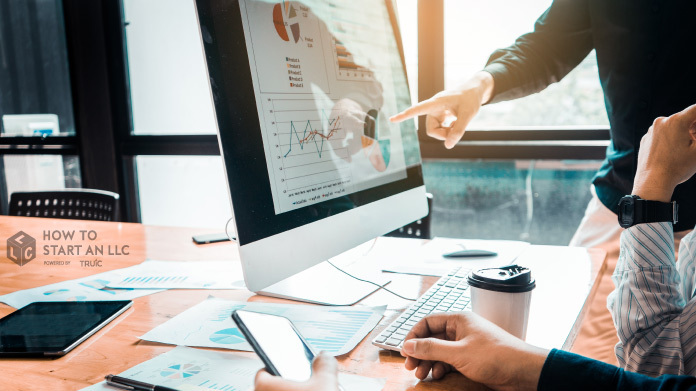 Make Smart Decisions: Accurate accounting data is crucial to making responsible business decisions.By regularly analyzing your financial reports, you can double-down on the areas of your business that have the greatest ROI. Furthermore, you can recognize and cut down on wasteful spending. Acquire Funding: It is far easier to attract investors and apply for loans when you have concrete financial data at your fingertips. With this information available, you establish yourself as a serious entrepreneur who understands the importance of carefully managing financial details. Minimize Personal Liability: Keeping an accurate account of business expenses is essential for maintaining your company’s limited liability status. Failure to do so may lead to your personal assets being at risk in the event of a lawsuit. Structuring your business as a limited liability company (LLC) ensures your personal assets are protected in the event your business is sued. Furthermore, keeping accurate accounts is an essential part of protecting your corporate veil. Beyond hiring an accountant, there are three different tools that small and medium-sized businesses commonly use to manage their accounting data: Spreadsheet applications, desktop accounting software and online accounting platforms. Spreadsheet Applications: It might sound like a good idea to track your accounting data using a standard spreadsheet program like Excel, but unless you’re highly experienced with the software already, this is usually not a smart move. Because Excel is not specifically set up for accounting purposes, it can be a cumbersome and time-consuming process. Desktop Accounting Software: This refers to a traditional accounting program that you install on your computer, available for a one-time fee. These software solutions are usually quite intuitive, and include all of the accounting features you’ll need. However, there are also some drawbacks. Because they’re used by a wide variety of businesses, these programs will likely have many features you won’t need (but still pay for). Additionally, they’re not as convenient as web-based programs. Online Accounting Software: In the last several years, cloud-based accounting programs have become quite popular. These options are more convenient than their desktop-based predecessors, and they’re also rather inexpensive. Also, due to their more flexible nature with multiple service packages to choose from, you usually don’t have to pay for anything you won’t use. Finally, online accounting software automatically saves your progress, and it’s easy to access and share your data. For most entrepreneurs, online accounting programs will probably be the best fit. Quickbooks Online is the most popular accounting software product for medium and small businesses. As your company progresses from the startup phase and into the more advanced stages of the business life cycle, your accounting needs will change. The right accounting software program can grow with your business through every step of company growth. Many entrepreneurs don’t immediately invest in accounting or accounting software, because there often isn’t much of a revenue stream in the startup phase. However, it’s advisable to lay down a foundation of responsible accounting practices as early as possible, and there are many ways a reputable software solution can help save you time and money. Maintaining Complete Expense Records: Accounting programs don’t let any expenses fall through the cracks, even little things like gas receipts and business lunches. They can also organize allowed and disallowed expenses to write off your startup costs, and create reports specific to tax preparation and filing. Managing Your Startup Budget: Your accounting software can track your initial budget as you go, and help determine how you should spend your remaining startup funds. Establishing Your Operating Budget: If you invest in accounting software early on, that program can automatically collect all the info you need to develop your operating budget. In other words, they essentially handle this step for you. Now that your business is up and running, your accounting software can help keep you on track. With this program handling so many budgetary issues, you’ll have more time on your hands to focus on things like customer service, inventory, and growing your business. Manage Accounts Receivable/Payable: Track your client accounts and receive notifications of past due payments. Alternately, avoid paying penalties and interest by remaining current with all vendor bills and other financial obligations. Oversee Costs: Set limits for expenses by category, and receive notifications when your costs approach those limits. Identify increasing costs before they become serious liabilities to the future growth of your business. Track Inventory: Know exactly where you stand at all times regarding the state of your inventory. You can set reminders to alert you when you need to reorder popular items, or to notify you when you have too much of an underselling item. Manage Payroll: Your accounting system tracks how much and when to pay your employees, as well as maintains records of each payment made throughout the year. Prepare Tax Reports: Automatically track all the info you need to file your business taxes. Also, many programs will fill out your tax forms for you. Analyze Data: Conveniently generate reports that allow you to assess what’s working and what needs to be adjusted. Create Funding Reports: These can be used to secure bank loans or attract investors. In fact, with cloud-based accounting tools, you can even grant online access to these reports for your audience. Identifying Your Most Profitable Clients: Create targeted campaigns for these high-value customers, or offer perks to entice others to enter this elite tier. Identifying Your Least Profitable Clients: These customers are already familiar with your business, so it’s important to maximize their value to your company. Staffing: Your accounting software makes it easy to determine if you’re understaffed or overstaffed, and also whether part-time or full-time employees best fit your business. Expansion: By tracking your customers, it’s easier to identify where your company has opportunities for expansion. Cloud-based accounting software sets your company up for success, no matter what phase of the business life cycle you’re in. These programs can save you time, money and hassle, while also providing you with the information you need to take your business to the next level.